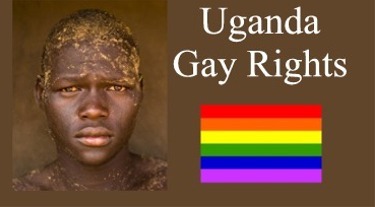 This entry was posted in Uncategorized and tagged Africa, Draconian, Gay, Homophobia, Homosexuality, Law, Prosecution, Punishment, Uganda by johnageddes. Bookmark the permalink. Uganda does not exactly have a peerless record when it comes to protecting the human rights of minorities. Witness the atrocities of the Idi Amin regime, and the long protracted civil war in the north that brutalized whole communities. Museveni threw Kizza Besigye, his political opponent into jail the day after the presidential election in 2006. And then there is Russia… Russia may have hosted a spectacular Olympics, but in the not too distant past persecuted and punished minorities, Christians among them. So should we be surprised? Where even one person’s human rights are violated for whatever reason whatsoever, we are all at risk! It’s too bad that a whole country gets branded by the rhetoric and actions of its leaders and government. Any Ugandans that I have met have been kind and generous and gentle people. They may have views divergent than mine on sexual orientation but we have never discussed that. The key may be open communication and education. Surprisingly young Ugandans have been sufficiently brainwashed by the Evangelical message (coming from the pastors from the U.S., by the way) that their viewpoints about homosexuality are pretty intolerant and negative. With this law, opening a more balanced dialogue may be difficult. I had also thought of the comparison to left handedness, Molly. Good analogy.